We understand the delight, joy, and affection that bonds you with your animals. We are committed to providing the best in veterinary care to enhance and extend that relationship for as long as possible. 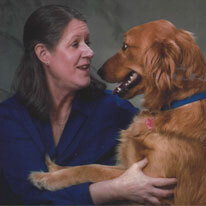 Dr. Fornwalt received her DVM from The University of Georgia in 1996. She worked at Acworth Animal Hospital for a brief time and purchased East Paulding Animal Hospital in 1998. She enjoys internal medicine, preventative medicine, and soft tissue surgery. When not at work you can find her running and running and running. She enjoys traveling and competing in road races, and is well on her way to completing a marathon in all 50 states and on every continent. 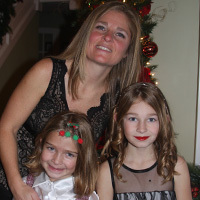 She also loves to spend time with her two daughters doing as many activities as they can accomplish in a day. As an avid pet-lover, she has a lab named Britney, a cat named Lauren, and a rabbit named Sprinkles. 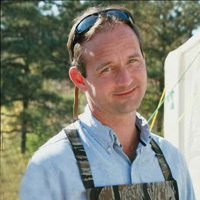 Dr. Richard Poe received a bachelor’s degree in biochemistry from the University of Georgia in 1992 and a DVM from the University of Georgia in 1996. He and his wife Dr. Fornwalt purchased East Paulding Animal Hospital in 1998 and relocated it to its current location in 2000. For 12 years Dr, Poe predominately practiced equine medicine, but now limits his work to small animal practice and is particularly interested in orthopedic medicine and surgery and the future of veterinary practice management and economics. Dr. Kenneth Wegenhart grew up in Cincinnati, Ohio. He attended the University of Cincinnati where he received degrees in Classics and Biology. In 2007, he graduated with a Doctorate in Veterinary Medicine from The Ohio State University. Following vet school, he did a one year small animal medicine internship at Georgia Veterinary Specialists. He began working at East Paulding Animal Hospital in 2010 and enjoys the fast pace and high volume. Dr. Ken’s interests are orthopedics, internal medicine and soft tissue surgery. His other interests include watching football (Go Bucks! ), soccer and spending time with his wife and two sons. Dr. Kris Gresham received her undergraduate degree from Denison University in 2001, and her DVM from Ohio State University in 2005. After graduation, she immediately fled the cold north for warmer pastures here in Georgia! She practiced in Smyrna for ten years before joining us at East Paulding Animal Hospital in 2015. Her interests include ultrasonography, soft tissue surgery, and arthritis management. She really enjoys working with clients through all stages of their pets' lives, from introducing a new pet into the family to making the best decisions for sick and older pets. Dr. Gresham and her husband (a Georgia native) have a daughter, a cat named Grendel, and a dog named Kaya. 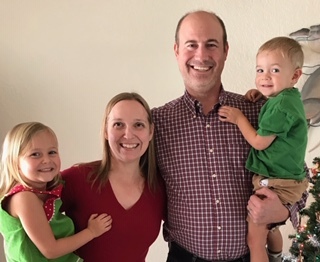 When not at the hospital or spending time with her family, she loves painting and volunteering with her church..
Dr. Brittany Haggard graduated from Kennesaw State University in 2009 with a Bachelor's degree in Biology. In early 2010, she began a concentrated Veterinary post-baccalaureate program at St. George's University in Grenada, West Indies. 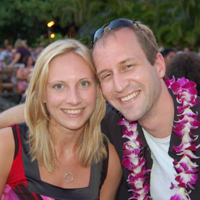 After enjoying living abroad, she pursued admittance to the Veterinary School at SGU and entered into the Class of 2014. 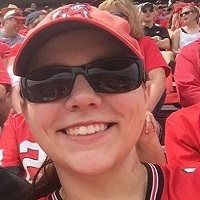 After three and a half years in the Caribbean, Dr. Brittany returned home to finish her clinical training at the University of Georgia. She was fortunate enough to have the support of the East Paulding Animal Hospital family throughout her college experience and was excited to be offered an associate Veterinarian position upon graduation. Dr. Brittany's interests include preventative medicine, alternative therapies, orthopedic and soft tissue surgery, and internal medicine. In her free time, she enjoys traveling, cooking, movies, and reading. She has two dogs, Mischa and Macon, and one cat, Kit, who are all rescues from her time at EPAH. Dr. Alice George grew up in Atlanta. She received her bachelor’s degree in 1980 in Biology from Guilford College in Greensboro, North Carolina and her degree in Veterinary Medicine from the University of Georgia in 1984. She practiced a few years in North Carolina then returned home to Georgia where she has been practicing for 28 years in Cobb County. Her veterinary interests include internal medicine, dermatology, feline and geriatric medicine and soft tissue surgery. Her children are grown so she and her husband now have a household full of rescued dogs and cats. Time away from the office is spent cooking, sewing, visiting antique stores and gardening. She also enjoys snow skiing, searching for shells at the beach, and hiking in the mountains. She loves photography so she always takes pictures!